Valerie Austin is a consultant hypnotherapist, international trainer, lecturer and author working from London’s famous Harley Street, Malaysia and Hong Kong. She passed her pilots licence in 1994 and for a hobby ferried small planes from North of England to Scotland. As well as producing a range of popular self-help books, Valerie Austin’s extensive personal experience treating difficult and unusual problems with thousands of clients has gained her an impressive personal reputation in the hypnosis community. She has developed an inspiring and rewarding career as a trainer and teacher for hundreds of people and businesses across the world. Valerie started her working life, like many, in the achievement-driven world of high performance sales. During her 7-year career with Lancaster Partners, a large UK publishing company, she set sales records never before accomplished. Invariably if not at the top, she was rarely out of the top three of sixty traveling sales reps, Valerie generally earned more money working a 3-day week than the Prime Minister at the time. It was the 70’s and at just the time when independent papers were starting to be published. She co-owned a ‘What’s-On’ entertainment magazine which is where her writing career started. Unfortunately the after-effects of a serious car accident prevented her from continuing her sales career. But it was both her success and the varied experiences she encountered in this industry that encouraged her to develop the necessary skills in order to explore an area for which she felt a natural calling - journalism. Ten years covering the Cannes Film Festival, a life in Hollywood as a trade editor for the film industry, and launching two popular London-based cultural magazines with her son Philip formed the background for an impressive early career where understanding people was always crucial to success. 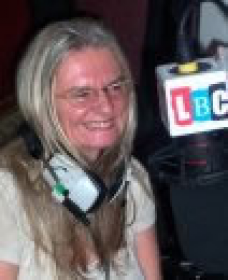 She was subsequently a regular columnist in a Film Trade magazine also run by her son in London. She later opened an office in Fleet Street and worked with the newspaper industry as a freelance journalist writing and selling stories and photographs to the media. However, because of the 1979 near fatal car accident which led to six difficult years of amnesia she started to take an interest again in hypnosis, the therapy that had helped her regain her memory. She found she thoroughly enjoyed it and that is what brought her into a career in hypnosis. The very unlikely beginning of a remarkable career as a respected, admired and sought after therapist and motivational psychologist. Emerging from such a life-shattering event, it was to be witnessing and developing first-hand the tools of hypnosis that enabled Valerie to rebuild her life. From this experience, she has devoted the past 20 years to the study of hypnotherapy - the remarkable treatment responsible for her cure, and that of many others. Her Diploma course in Advanced Hypnotherapy started life as a corporate training course in 1990, primarily designed to increase productivity. She also became interested in the therapeutic and medical applications of hypnosis and trained potential hypnotherapists in the skill of age regression. Continually researching, developing and refining her techniques, Valerie has spent many years lecturing and teaching workshops in the USA, Europe and Asia, establishing a research institute on the paradise island of Langkawi in Malaysia and gaining international recognition. In recent years, Valerie has specialized in her advanced techniques for increasing individual and group productivity, stress control, and teaching efficient psychological systems and strategies to help keep the highly-trained business mind free of obstacles that can lead to poor performance, ill health and even breakdowns. As the author of five best selling books with an established Harley Street clinic, and an internationally successful career as a lecturer and personal trainer, Valerie knows the power of the media intimately, and how to use it. The media coverage of her ‘Stop Smoking in One Hour Technique’, for which she became most famous, prompted international press interest, televised conferences, interviews and government level approval. She was commissioned by Dr Abdul Halim Othman, Dean at the University Kebangsaan, Malaysia to teach her Advanced Hypnotherapy course to a selection or teachers, students and a professor at this leading University of psychology. The Health Minister of Malaysia, Datuk Lee Kim Sai, and leading academics gave her technique - used in a special addictions unit – personal approval and Datuk Lee Kim Sai was televised giving his approval for her ‘Stop Smoking Technique’ as he presented her graduates with their diploma for her 7-day advanced hypnotherapy course. During her time in Kuala Lumpur, she was also brought in to lecture at the then new University Malaysia Sabah. In 1997, she lectured at the Industrial and Organisational Psychology: Challenges in the Third Millennium conference on ‘Hypnotherapy among Employers in Crisis’ and at a conference for over 150 teachers at the Jala Turan Campus also at the University Malaysia Sabah. In recent years, Valerie has continued to develop and refine her Advanced Hypnotherapy Master Diploma Course and regularly appears as a VIP guest speaker at selected conferences and workshops, as well as continuing research into the treatment of addictions and alcoholism in association with various medical bodies. As the founder of Austin Corporate Ltd, Valerie offers comprehensive training in Corporate Consultancy, providing a blueprint for qualified hypnotherapists to approach businesses and offer the type of corporate consultancy services Austin Corporate offers. With the increasingly volatile world economic climate, more and more businesses require help with maintaining the health and well-being of the workforce. Increased workloads and pressure to perform, employees are in need of the services Austin Corporate can provide. Stress management, increasing productivity, accelerated learning and problems with fatigue and sleeplessness are just some of the areas Valerie has a wealth of experience in. She is also a co-trainer, alongside her author and researcher husband James Pool, on the Diploma Course in Medical Hypnosis, the first course of its kind to be validated by the General Hypnotherapy Council and made available to non medical practitioners. Valerie hosts many of the Continuing Professional Development practical Workshops for Certified Austin Trained Therapists, corporate consultants and students of the Medical Hypnosis course. The guest speakers are often from abroad, bringing a fresh and dynamic approach to the subject area of hypnotherapy. In 2004 alone, Valerie trained over 1,000 people in the safe and effective use of self-hypnosis during an intensive season of 2-day workshops. Therapy appointments with Valerie or one of her trained and mentored Austin Advanced Hypnotherapists are still available. The Hypnosis in the City Group, based in the City (London) area provides Advanced Hypnosis treatments for a wide range of conditions and problems. Contact Valerie.As the author of five best selling books with an established Harley Street clinic, and an internationally successful career as a lecturer and personal trainer, Valerie knows the power of the media intimately, and how to use it. The media coverage of her ‘Stop Smoking in One Hour Technique’, for which she became most famous, prompted international press interest, televised conferences, interviews and government level approval. Therapy appointments with Valerie or one of her trained and mentored Austin Advanced Hypnotherapists are still available. The Hypnosis in the City Group, based in the City (London) area provides Advanced Hypnosis treatments for a wide range of conditions and problems. Contact Valerie.